Dog Parks: Pros, Cons, Rules, Etiquette and Should You Use One? 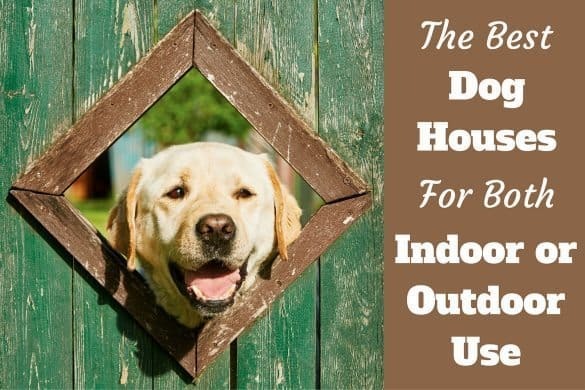 Home HEALTH & CARE	Dog Parks: Pros, Cons, Rules, Etiquette and Should You Use One? Have you ever taken your dog to a dog park? These sprawling fenced-in areas were created to help urban dogs get some much-needed exercise while playing with their friends off-leash, and they offer plenty of benefits for both dogs and humans. 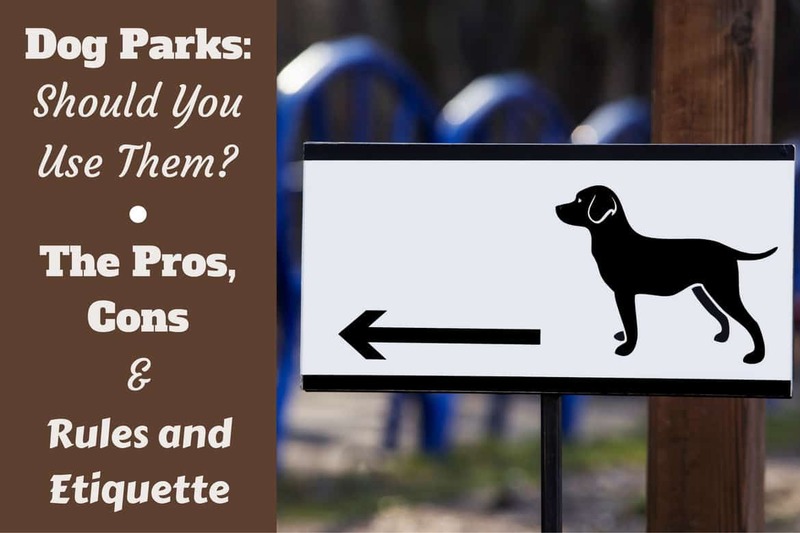 Dogs parks aren’t for everyone though, and there’s a lot to consider when trying to decide if you should bring your pup for a romp in the park. 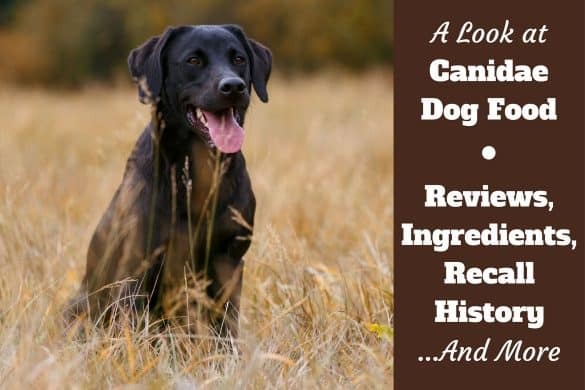 This article will cover just about everything you need to know about dog parks including the pros and cons, the rules of dog parks and dog park etiquette for both you as an owner, and the behavior of the dog, so you can decide for yourself if they’re a good match for you and your pooch. The world’s first official dog park was built in 1979 in Berkeley, California, and the concept has spread far and wide since then. Today there are thousands of dog parks in operation across the United States, and a growing number across the world as well. Dog parks, like dogs themselves, come in all different shapes and sizes. At a bare minimum, they are large fenced-in areas, with a double-gated area to ensure that dogs don’t escape when people are coming and going. 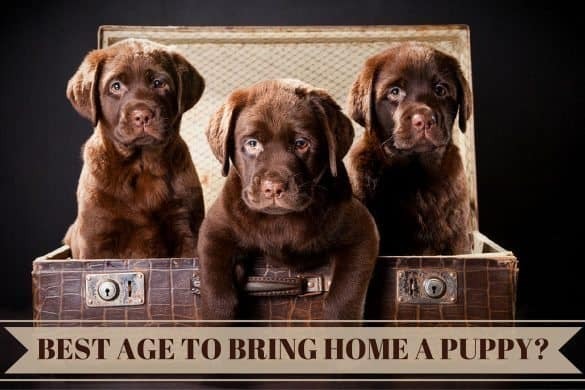 You will usually find trash cans, water faucets, drinking bowls, and benches for the caretakers, but many dog parks also have special play equipment, water features, and plantings. The largest fenced-in dog park to date covers 107 acres and can be explored in Evergreen, Colorado. For a look at some over-the-top incredible dog parks, check out the parks in this article. Without a doubt, dog parks provide benefits to many dogs and their human companions, providing opportunities for exercise and socialization that can be hard to come by, especially for urban dogs. Here are why dog parks are an asset to your community. Dog parks are an excellent place to socialize. Dogs will usually be able to interact with other dogs of all shapes, ages, breeds, and sizes. Dogs will also have opportunities to meet and greet lots of dog-loving people. The social atmosphere of dog parks is great for people to chat and connect with other dog lovers. Dog parks provide physical and mental stimulation. Off-leash exercise is important for active dogs, and dogs who interact and play with each other get lots of mental stimulation as well. This added stimulation will often help curtail destructive or annoying behaviors at home. Dog parks provide learning opportunities for people. There is no place like a busy dog park to learn the ins and outs of dog behavior and body language. Dog parks are also a great place to learn from more experienced dog owners, or if you are an experienced dog owner yourself, to advocate for proper training. Dog parks provide many benefits to the community. When people have the opportunity to use dog parks in their neighborhoods, they are less likely to let their dogs run off-leash in public parks. A dog park provides a safe place to play that is free of cars, bicycles, skateboards, and other distractions. It is a place for dogs and dog lovers, and a great location for dog-friendly community activities. Dog parks are certainly an asset to communities, but we can’t neglect their darker side. Not every dog is a candidate for dog-park play, and not every dog park is suitable for all dogs. When you put people and dogs together from all walks of life and enclose them into a confined space, there is often trouble. All those benefits that we mentioned above will disappear if dogs and people don’t behave appropriately. Does my dog enjoy playing with other dogs? Does my dog play well with puppies, older dogs, and dogs of all different breeds? Is my dog healthy and fully vaccinated? Will I know if my dog is feeling scared or stressed? If you answered no to any of these questions, you should seriously consider whether a dog park is right for you and your pooch. If you are unsure about the answers to the above questions, you may want to check out your dog park during quieter hours, when there aren’t a lot of other dogs around. Safety – The dog park should be entirely fenced-in, with no broken, rusty, or loose fencing. There should be no dangerous obstacles, and there should be two gates with a small fenced area between them to keep dogs from escaping. There should never be stagnant, standing water that could make dogs sick. Size – The park should be big enough for dogs to run around safely, and many dog parks will have a smaller fenced-in area for puppies and smaller dogs. You should never bring a small dog to a dog park with big dogs. The chances of them getting hurt are too high. Comfort – A good dog park will provide a water faucet and bowls for thirsty pups, poop bags so that people can clean up after their dogs, and benches for folks to sit on. Shade is a huge plus, especially on hot days. Community – 10 – 15 dogs is a nice number. More than that and things start to get crazy. Watch to see that people are paying attention to their dogs, that they clean up after them, and that owners are quick to act if there is ever a problem. If you choose to visit a dog park with your pup, it is your responsibility to pay attention and keep your dog safe. While a dog park can provide a great experience for your dog, there are plenty of things that can go wrong if you aren’t paying attention. Here are some tips for supervising your dog and keeping them safe in the dog park. Clean up after your dog. It is simply good manners to clean up after your dog after they do their business. There are a lot of parasites and diseases that can be passed from dog-to-dog if their waste is left lying around, and nobody likes stepping in dog pooh. Walk your dog before you go to the dog park. Wait, isn’t the whole point of going to the dog park to give them the exercise they need? Yes, but some dogs really need to let off some steam before bounding into the park play with other dogs. If you think your dog will be over exuberant with other dogs, take them for a walk first. The other dogs and owners will appreciate it. Work on your dog’s greeting skills before you head to the dog park. You’ve probably been introduced to a fair number of obnoxious or rude people in your lifetime — people who are too loud, too pushy, or just lack social skills. There are dogs like this as well. Introductions are very important in the dog world. Work with your dog to ensure that they don’t charge new visitors to the dog park, mount other dogs, or continually pester dogs who are uncomfortable. You should practice this with dogs that you know before you let your dog loose in a park that is full of pups. Do not leave a harness, gentle leader, clothing, or prong collars on your dog while they are at the dog park. This could be dangerous to your dog, as well as others. A simple collar with tags is all you need to keep on your dog. Don’t bring your unvaccinated dog or puppy to the dog park. Dog parks are teeming with parasites and bacteria, which is fine for older dogs who are fully immunized. If your dog is less than 12-weeks old or isn’t vaccinated, wait a while before letting them explore the dog park. Don’t let your dog bully others. Learn when your dog is being cute and engaging, and when they are being obnoxious to another dog. If your dog is trying to aggressively play with another dog (or just be aggressive), you need to put a stop to it. Don’t assume dogs will work out their issues. 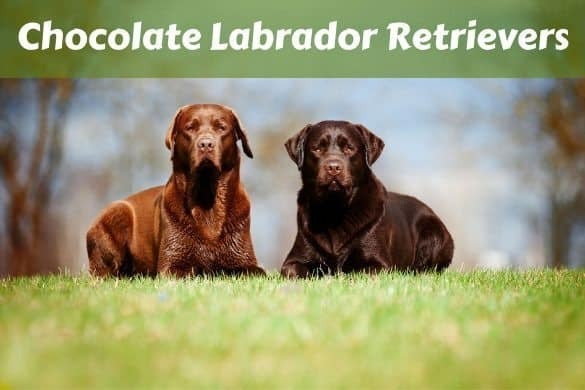 While dogs can be very good at working out problems with other dogs, the stimulating atmosphere of a dog park makes things a lot more difficult. If a dog is being bullied or ganged up on, or there are signs that two dogs just aren’t getting along, it’s up to the owners to intervene. Do not wait for a fight before you take action. Do not let your dog hump other dogs. This is rude and totally inappropriate behavior. If your dog feels the need to hump another dog to get to know them, you should consider skipping the dog park until you can curtail that behavior. Do not let yourself be distracted. Please chat with your neighbors while you’re at the dog park — that’s one of the best parts of visiting. But don’t spend so much time chatting that you forget to watch what’s going on between the dogs. Do not catch up on texts, emails, or the daily news. If you think your smartphone will distract you, leave it in the car. Watch for signs of stress, fear, or anxiety in your dog so you can intervene if necessary. 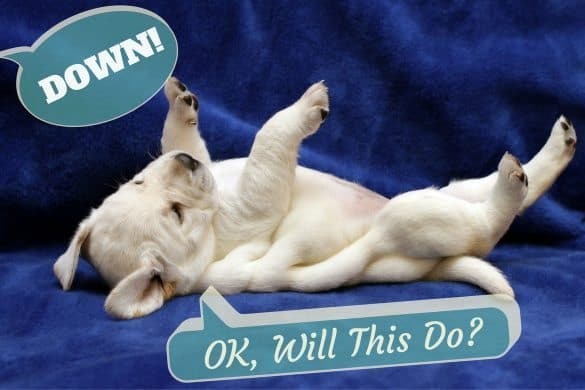 The more you observe your dog and others, the more versed you will become in dog body language. Check out this graphic for an idea of what to look for. The following video is almost 10 minutes long, but I urge you to watch it all the way through. 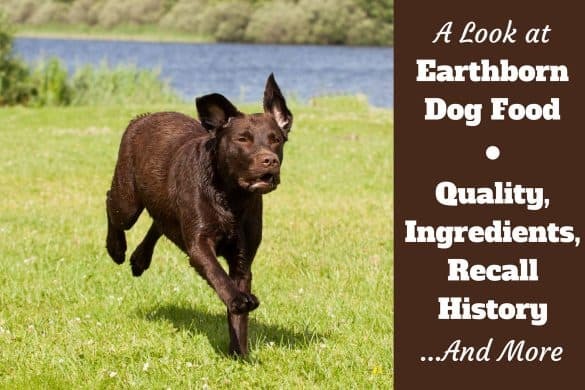 It gives you an excellent overview of body languages and behaviors commonly found in dog parks. Dog parks provide an excellent opportunity to socialize and exercise dogs who are comfortable in group situations, but they’re not for everyone. The health and well-being of your dog is your first priority, so think carefully about whether or not your dog is a good candidate for dog park play. If you do decide to bring your dog to the dog park, be sure to supervise them carefully, and always be on the lookout for signs of trouble. If large group situations won’t work for you dog, consider visiting the dog park in the off hours or arranging a play date with another compatible dog. Be safe. Be aware. And of course, have fun!